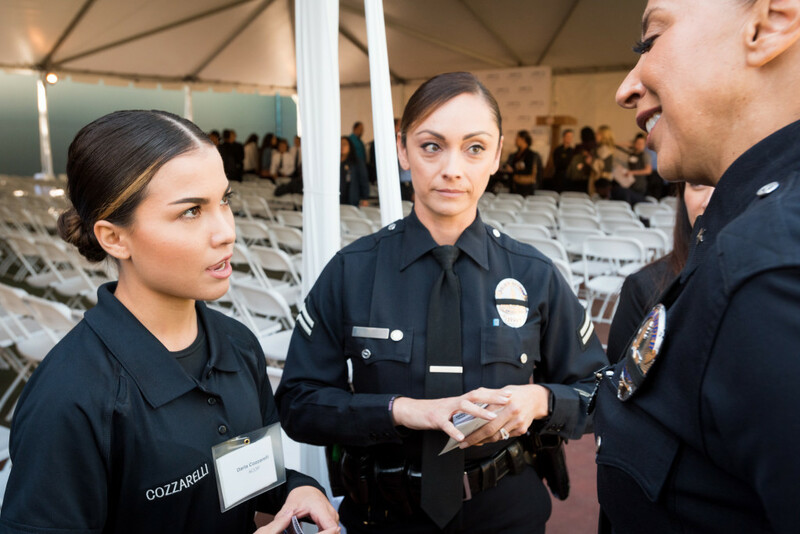 Young girls grow up with big dreams. 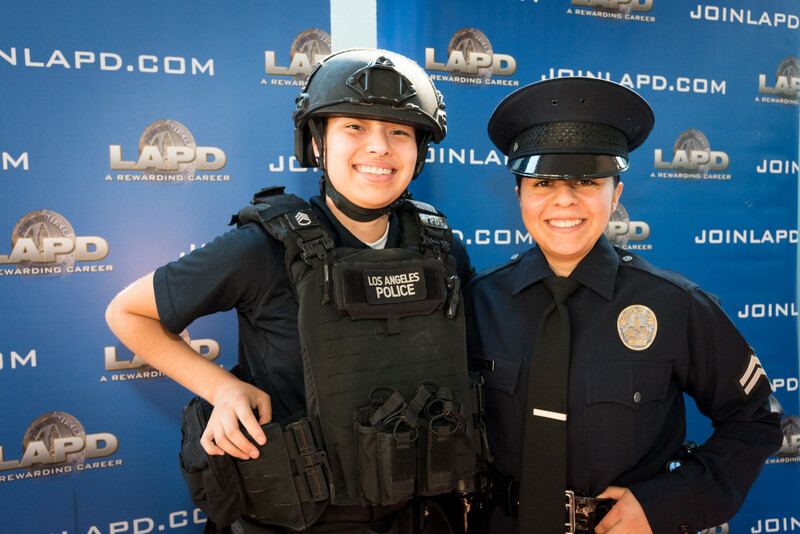 Oftentimes, they want to become superheroes – saving lives, fighting fires, and stopping the bad guys on our streets. 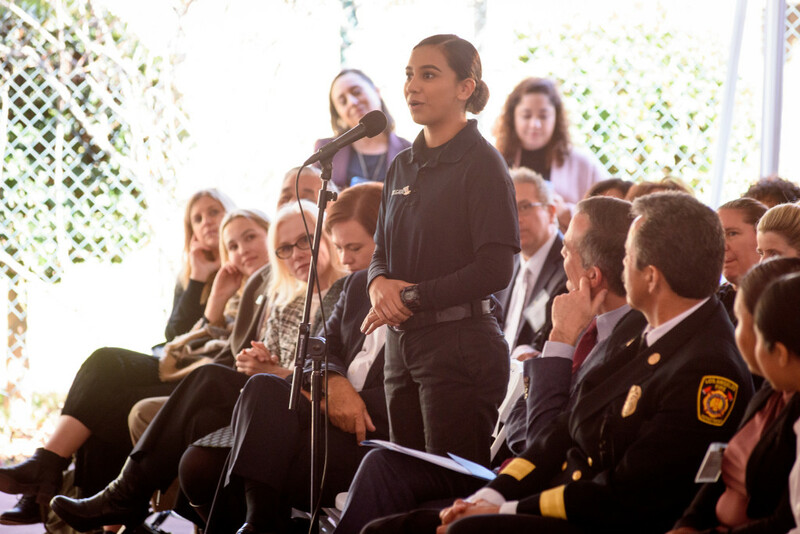 But when women make up just over 18% of our City’s police officers, and 3% of our firefighters, girls are left wondering whether those dreams can really come true. 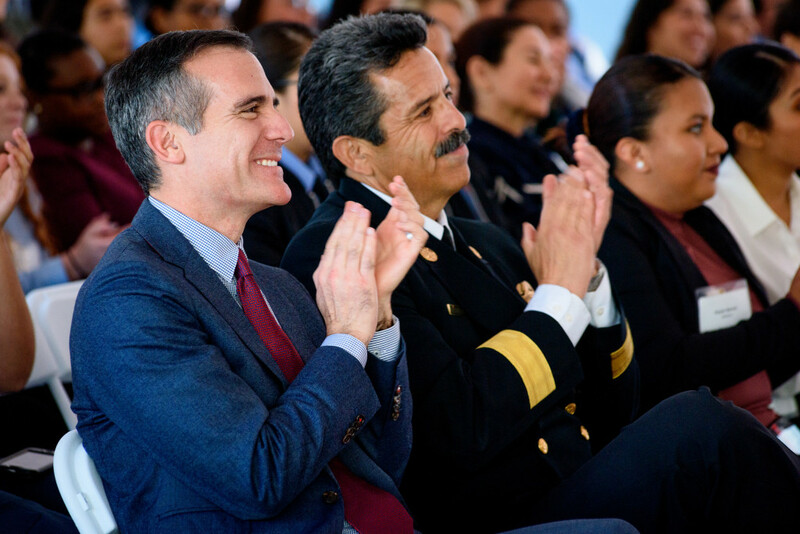 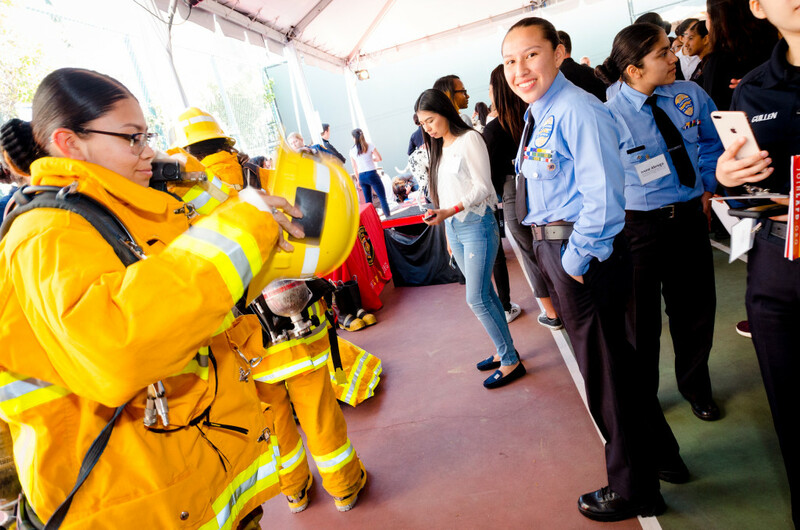 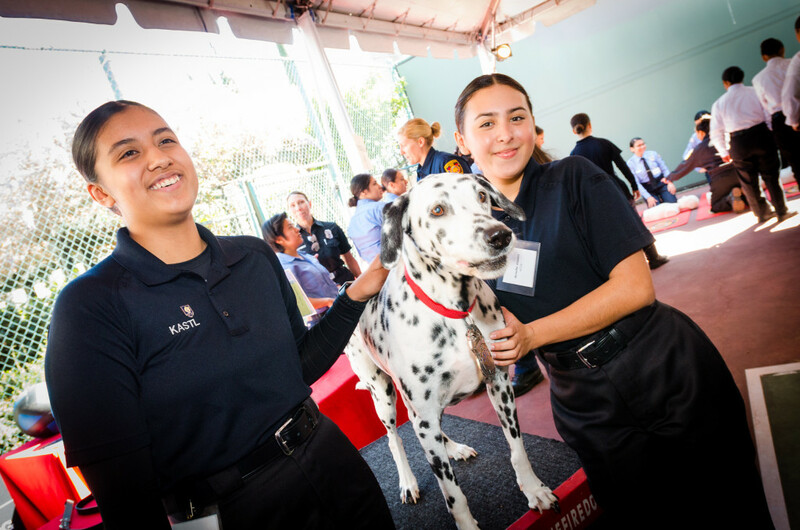 So on March 15, Mayor Garcetti, First Lady Amy Elaine Wakeland, and the Getty House Foundation hosted a group of these gifted, bright, and motivated young women for a recruitment fair, where they tried on fire equipment and police gear, learned CPR, ran fitness drills, and learned what it takes to become an LAPD or LAFD officer – from real life heroes who turned their childhood aspirations into successful careers. 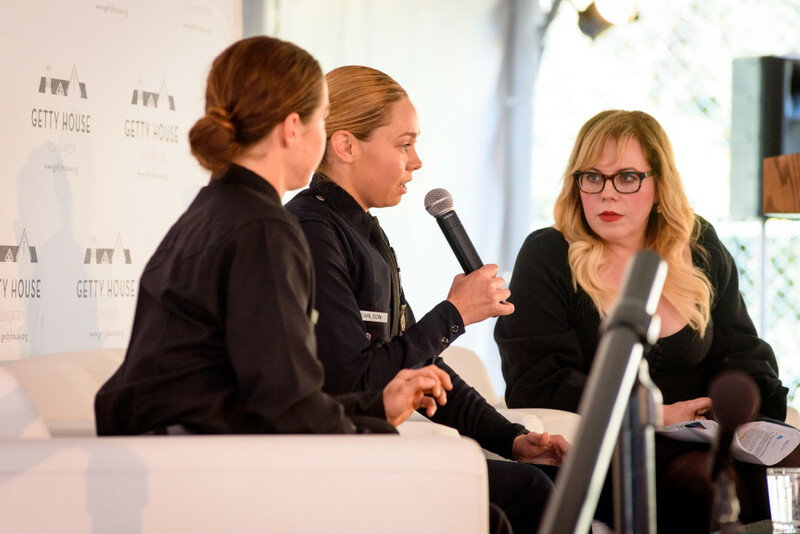 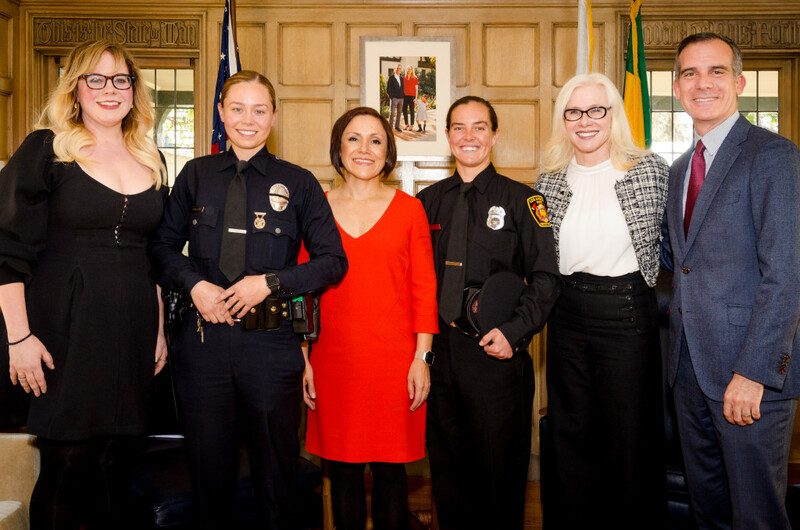 After the recruitment fair, Criminal Minds star Kirsten Vangsness led a discussion with LAPD and LAFD leaders on the challenges that female public safety officers face out in the field, and their efforts to bring more women into the fold.